There are many different kinds of drawers/bins in a refrigerator. 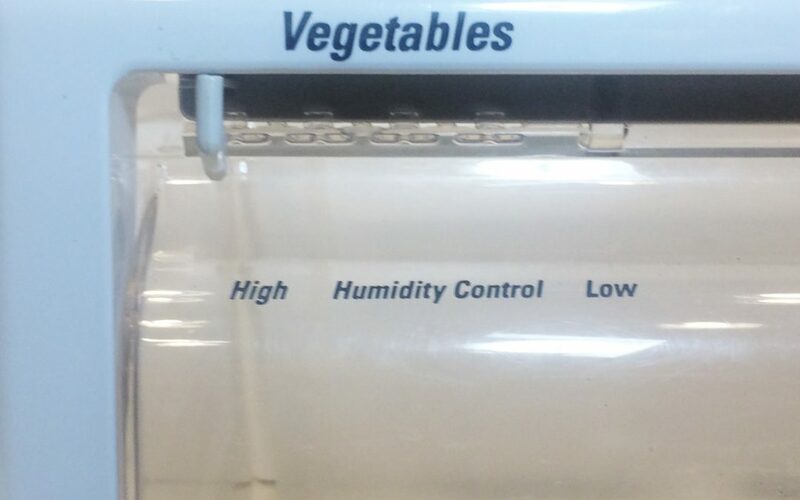 Some are humidity controlled to keep meat, fruits and vegetables fresh. Some even have a selector knob to control temperature. 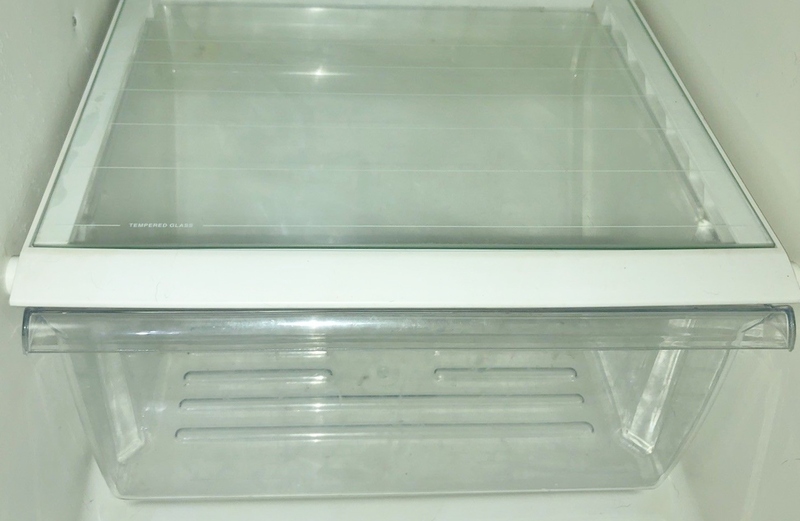 Plastic refrigerator drawers can be clear, transparent, smoky grey or white. They are also called bin, meat pan, vegetable, crisper or snack drawer. 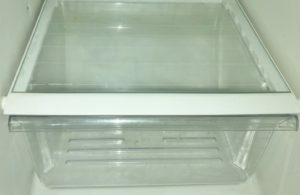 If your plastic drawer has a crack or chip in it you might try to repair it with duct tape, glue gun, epoxy, melting the plastic or by drilling holes and riveting it back together. Eventually your repair job will fail. Doing the above repair is just a temporary fix and it is very unsightly and unsanitary. The refrigerator storage bins, also known as drawers get used and abused. They can break from being overloaded and stuffed full of food. Also, they can be broken when items are removed or by simply trying to clean all of the old fridge goo and gunk from them. Children love to pull them out and use for a stepping stool to reach items that are out of reach in the fridge. If you have a drawer/bin which has been damaged, it is best to simply replace it with a new one.